The AGB Scholarship Fund Drive is speeding towards success. The challenge issued by one donor has proven to be very beneficial. Recall the challenge was for any two donors to increase their donation by $100 over their 2016 donation. My cousin Stephanie T. from Hampton, Virginia along with a dear high school classmate Kay F. from Wytheville, Virginia both very quickly responded to the challenge. Virginians, thanks for leading the way. Lisa B., we all thank you for your generosity as well! We never had a challenge before and in typical fashion, you led the way. I am still eagerly waiting on several other long-term donors to get on board to help us quickly reach our goals. Notify me of your pledge or make your donation by February 1st. The Learning Center must begin issuing the scholarships before school starts. Thanks Everyone! Our goal to support the ED position is plugging along like the slow turtle. With our two years of experience, we know this will all work out and we will achieve our goal. I repeat how important this financial support is to the overall success of the Learning Center. All great ventures demand strong and competent leadership. We have solid leadership and our plans for 2017 depends on an experienced captain guiding this ship to success. Donations of any amount are both needed and appreciated. Some have asked about our progress on the new building plans. Remember, we are in stage 1 and this is all about gathering information needed to determine whether we move on to stage 2. Soon, we will have a plan, a design, and a cost estimate. Will keep all “Friends” updated as new developments take place. Last week we hit the 10,000 mark for site visits. AMAZING! This is a wonderful way to start the year. We plan to reach the 13,000 plus mark by the end of 2017. You can help by staying connected and visiting the Posts. Melody Lipford, a student attending Emory & Henry College, is preparing to travel to Costa Rica in May. I will provide more information on Melody next week. In closing, I received my collection of the 2016 “Friends of Copey” Posts. I am very indebted to my dear friend Bev for taking the time to gather each of the 55 Posts published in 2016 and put each in a binder. These make outstanding source documents especially during presentations to groups. Bev…THANKS for your hard work and support. “And this will be the day when all of God’s children will be able to sing with new meaning.” By Dr. Martin L. King, Jr.
Today, I wish to express my respect for Dr. Martin L. King, Jr.. On this day, we honor his work, vision, courage, and achievements. The meanings behind such comments as “not the color but the content of one’s character” and “let us not wallow in the valley of despair”, expressed by Dr. King during the “I Have A Dream” speech, have often served as a couple of my sources of inspiration and encouragement over the years. I believe Dr. King wanted us to lead the way anywhere we found people in need of help…anywhere! Even in Copey, “content of character” is important. A quality education helps to build and nourish character. Dr. King understood this as he witnessed and fought against educational inequalities. And, he understood the impacts poor education had on the lives of children and families. “Friends” we are in the “Dream” business as we work to help a small community of parents and children…all with big dreams. 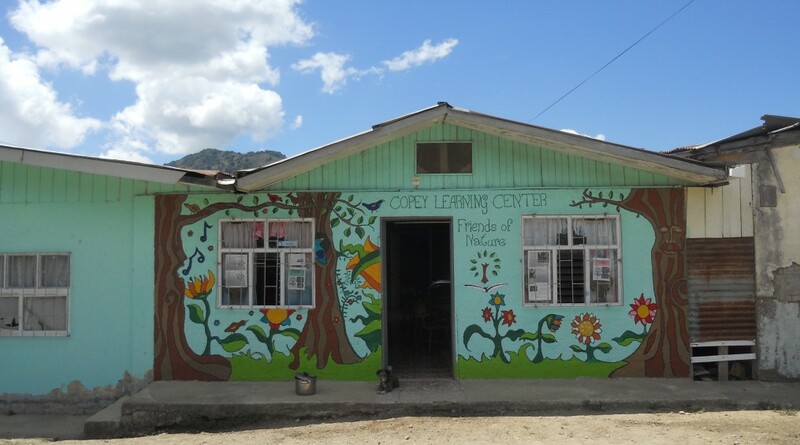 When I first visited Copey, I saw and heard the sounds of a community unwilling to wallow in the valley of despair. It was then and right then my dream of “Friends of Copey” was conceived. Nearly five years later, the “Dream” is alive and well. Thank you all. USA…Here we come! The Learning Center completed its selection process and has named the two new selected students heading to America in June. Fatima Leiva Chinchilla, a 16-year-old student starting the 11th grade in a few weeks will be preparing to travel to this country. Fatima will be joined by 15-year-old Ariana Granados Cruz who is currently in the 9th grade. Both successfully competed for the opportunity to travel to the US. More information about both students will be shared as the next few weeks and months pass. Today, we congratulate them for their outstanding scholastic work and their progress learning English. Also, plans are underway to include Ana Yancey as the chaperone for their journey to the US and we have invited Angela, last year’s chaperone, to return as well. 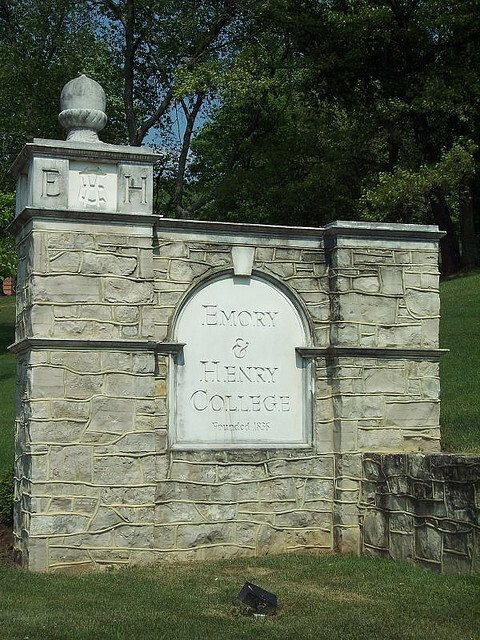 If all goes well, all four travelers will visit our country and spend time on the campus of Emory & Henry College (E&H) in Emory, Virginia. In case you are wondering, yes there is an E&H College student selected and preparing to go to the Copey Learning Center in the late Spring. More information will be provided on this student volunteer in the upcoming Posts. This student will be the E&H College representative following last year’s pioneers, Casey and Xavier. After the first week, I have pledges totaling over 50% of our 2017 Goal. Obviously, the response has been exceptional after one week. All donations are needed (in any amount) and essential to the ongoing success of the Learning Center. I appreciate the early donations and hope most of you previous donors will continue to support this scholarship fund. First time donors are also invited to support this fund. For your information, one very special donor has issued a donation CHALLENGE. She writes: “I donated $200.00 last year, $100.00 previous years. I will be donating $300.00 this year but would donate $500.00 if we get two friends to up their donation by $100.00.” I extend the challenge to all “Friends” and will report any positive responses I receive. Hopefully, we can cash in on her $500.00 offer. Students such as Noelia, Celeste, and Mariana have benefited from your past support. These three students (all prior recipients of scholarship support) provide excellent examples of how lives are being impacted. Most probable, neither Noelia or Celeste would have visited America last June and Mariana would not have been so successful with the Spelling Bee Contest. There are many others needing help. We have made some progress with this fund-raiser and typically it moves along slower than the scholarship fund drive. All “Friends” are encouraged to consider this fund just as important to the Scholarship Fund. The students we support MUST have a quality educational experience which only strong leadership at the Learning Center can ensure and provide each day. If you have not yet seen the movie “Hidden Figures”, get moving! I have seen the movie twice and have read the book. The movie is a box office hit and well worth your time to go see. A few have asked just how I am related to the main character, Katherine Johnson? Aunt Katherine first married my mother’s brother, James Goble. Uncle James died in 1956 from an inoperable brain tumor while in his mid 40’s. Aunt Katherine later married James Johnson. Both Aunt Katherine at age 98 and husband James live in eastern Virginia and have been married 58 years. Congrats Aunt Katherine…you (including Dorothy and Mary) deserve this and much more! Today, this is the official “kick off” of the Anne G. Broady (AGB) Scholarship Fund Drive and our Executive Director (ED) Salary Support Drive. Today starts our 4th year for the AGB Scholarship Fund Drive and historically, it has been one of our biggest accomplishments. More than 60 scholarships have been awarded to students. Consistent with the two previous years, we set the minimum goal of $1,500. This will support at least 15 students in 2017. The AGB Scholarship Fund Drive will be concluded on February 1, 2017. This provides the time needed for the Learning Center to award the scholarship to the family/student before school begins in early February. We have now completed two years providing financial support for the salary of a (part-time) Executive Director. This position provides the leadership and direction to the volunteer support and continuity to the ongoing success of the Learning Center. This is the only paid position and evidence is now clear this investment pays off very well. Both the first ED, Angela and the current ED, Ana Yancy, have demonstrated their capabilities by improving the Center’s educational services and building on its future success. The absence of this paid position requires the unwise dependency on outside volunteers coming in and out of the country/community on short-term assignments to meet the overall goals of the Learning Center’s mission. Volunteers are very valuable and essential to the Learning Center’s success in meeting everyday teaching needs. However, the continuity, consistency, and stability of the Learning Center demands someone willing to tackle the challenges in keeping the Center moving forward. I strongly encourage your support and on-going investment which is critical to the future of the Learning Center. The Learning Center’s PayPal can be used to make donations directly. Please access the PayPal system by clicking on…http://copeylearningcenter.org/. Locate the PayPal logo in the upper right hand corner of the homepage. To make certain the Learning Center recognizes your donation and how it should be applied, indicate in the comment section that the donation supports the “AGBSF” or the “EDF” (Executive Director Fund). Friends, both fund-raising drives are very important. How is it so? We have only to return to the 2016 Scorecard and reports on our efforts and accomplishments to find the answers. Students, parents, and the Copey community have been in partnership with “Friends” for over 5 years and 3 of those years have included our financial support. The Learning Center is thriving. During our short history as a partner, we have added schools, a college, a major community service organization, active and retired followers, and other working partners. New potential partners are watching and evaluating our efforts and continuous commitments. Our success has even emboldened us to explore building a new Learning Center. I am planning to issue another Post later this week. There is developing news about our two new students selected to travel to the USA in June I will share. They will attend the Emory & Henry College’s “Summer Scholars Institute and Leadership Program”. Also, I plan to have a few comments about the book and the movie “Hidden Figures”. 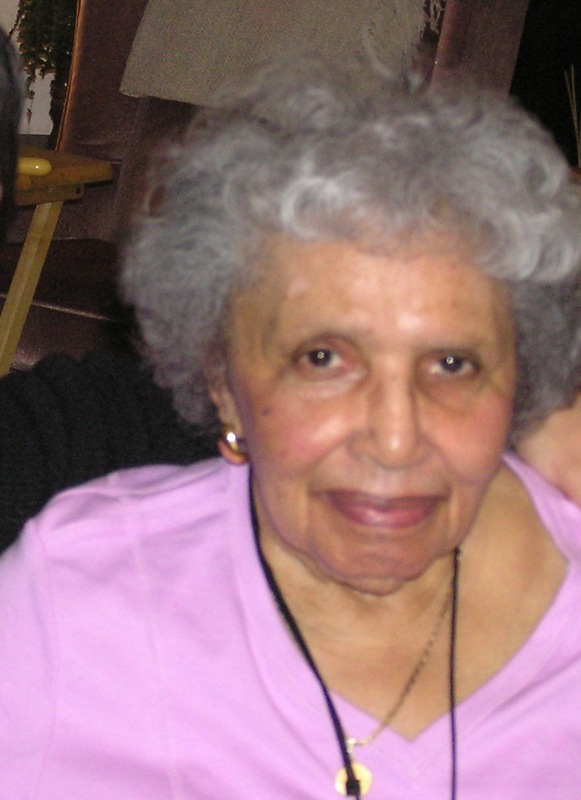 In prior Posts, I have mentioned my Aunt Katherine. I plan to share some of my reactions to the movie and the book. If you have seen the movie or read the book and wish to comment…send your thoughts to me at atbroady@aol.com or make the comment using this Post.